Last week I was in KW for Christmas. I don’t really like Christmas. Even as a kid It brought me much anxiety, but it was pretty chill this year and I was able to appreciate the simple pleasures of hanging out with friends and family, looking back on all the cool stuff that’s happened this year (and patting myself on the back a little for navigating the not-so-cool stuff). 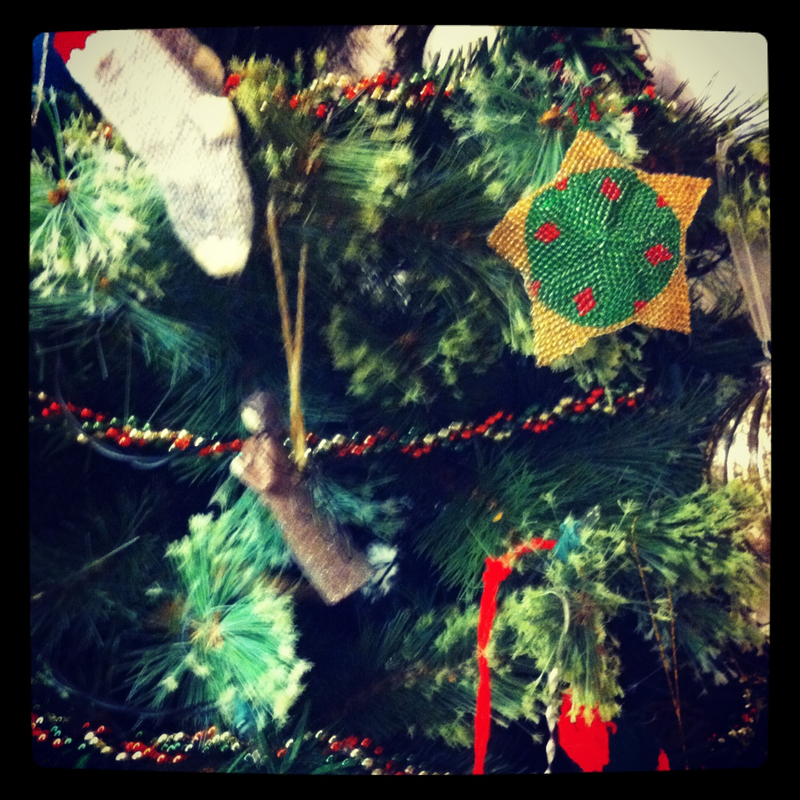 In the spirit of anti-commercialism, I thought I’d share this picture of the handmade ornaments on my mother’s tree. Some date back 30 years (unfortunately the papier maché and light bulb penguin that my sister made in grade one got smashed last year). I also got some stuff, so in the spirit of commercialism, I thought I’d share my presents. 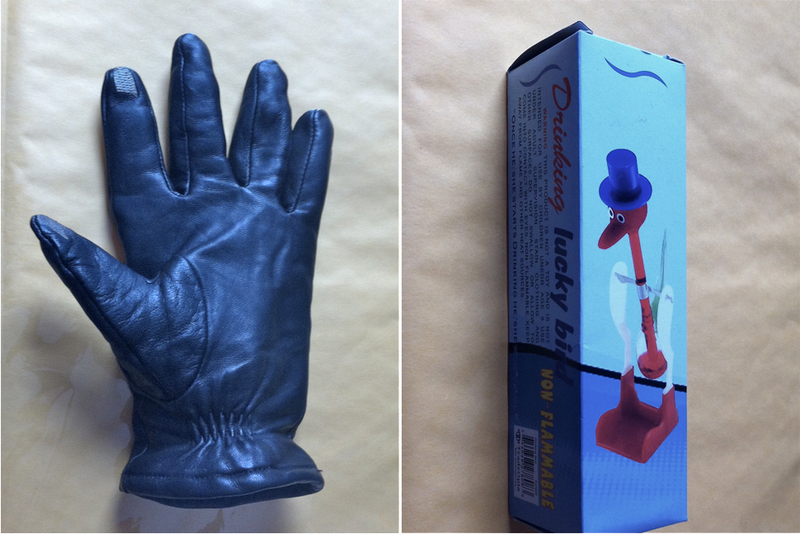 I found these leather touch screen gloves and a drinking bird in my stocking! My grandfather had a drinking bird which I was obsessed with as a kid. I have to do a little more decluttering to find a place of honour for this crazy guy. 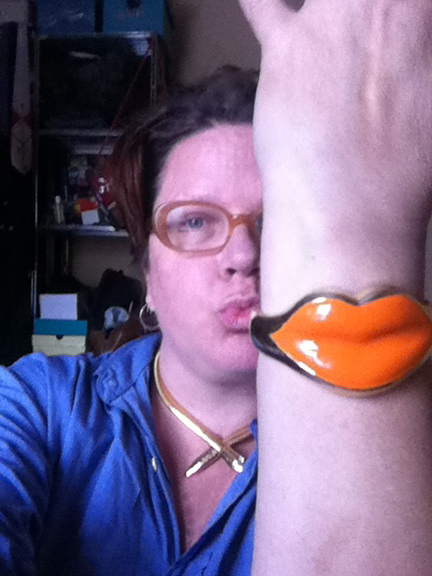 And some New Old Stock jewels: a snake choker and a lip smackingly cool clamper bracelet. I love this photo of you and your rad bracelet! Thanks Michelle. I love lips!